LOS ANGELES (Jan. 23, 2010) -Screen Actors Guild presented its coveted Actor® statuette for the outstandingmotion picture and primetime television performances of 2009 at the “16th Annual Screen ActorsGuild Awards®” in ceremonies attended by film and television’s leading actors, held Saturday, Jan. 23, at the LosAngeles Shrine Exposition Center. The “16thAnnual Screen Actors Guild Awards®” was simulcast by TNT and TBS at 8 p.m.,ET/PT, 7 p.m. CT and 6 p.m. MT. Ballots to choose the recipients were sent to the nearly 100,000 activemembers of Screen Actors Guild nationwide. Sandra Bullock presented Betty White with Screen Actors Guild’s highesthonor, the 46th Annual Life Achievement Award, following a filmed tribute. Honored with individual awards were Jeff Bridges, Sandra Bullock,Mo’Nique and Christoph Waltz for performances in motion pictures and KevinBacon, Alec Baldwin, Drew Barrymore, Tina Fey, Michael C. Hall, and JuliannaMargulies for performances in television. Screen Actors Guild originated awardsfor the outstanding performances by a motion picture cast and by televisioncomedy and drama ensembles. The Actor® for a motion picture cast performancewent this year to “Inglourious Basterds”, while the Actors® for televisioncomedy and drama ensemble performances went this year to “Glee” and “Mad Men”,Screen Actors Guild’s honors for outstanding performances by a stunt ensemblein film and television were awarded to “Star Trek” and “24”. Jane Lynch introduced a spirited filmmontage that reveled in actors’ comic gifts. PEOPLE magazine and the Entertainment Industry Foundation (EIF) hostedthe Screen Actors Guild Post-Awards Gala for 14th year.  This exclusive event,immediately following the SAG Awards on the back lot of the Shrine ExpositionCenter, honors the philanthropic causes and good works of the members of theScreen Actors Guild. The gala benefits the SAG Foundation, which is currentlycelebrating its 25thyear. The 16th Annual ScreenActors Guild Awards is a presentation of Jeff Margolis Productions inassociation with Screen Actors Guild Awards®, LLC. Jeff Margolis is theexecutive producer and director. Kathy Connell is the producer. JoBeth Williams, Daryl Anderson, ShelleyFabares, Paul Napier and Yale Summers are producers for SAG. Gloria FujitaO’Brien and Mick McCullough are supervising producers. Stephen Pouliot is thewriter.Benn Fleishman isexecutive in charge of production. The complete list of recipients of the 16th Annual Screen Actors Guild Awards®follows.